What can Magician Business do for you? If you’re a working magician or children’s birthday entertainer, the Magician Business Podcast is filled with actionable tips and hard earned wisdom straight from the mouths of your successful peers. If you’re serious about your own professional development as a magician (we are) then the Magician Business training courses might be just the thing you need to take you to the next level. Got an entrepreneurial streak running through you? We run partnerships to develop new products that improve the income and well being of magicians and their families. 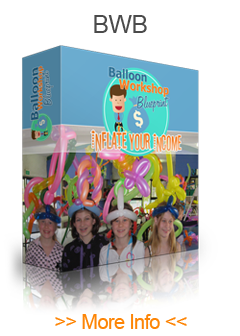 Balloon Workshop Blueprint is a training program for kids and family entertainers that will fill up your diary with school holiday gigs. 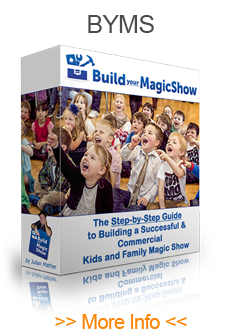 Build Your Magic Show guides children's entertainers in creating a successful and commercial kids and family magic show. 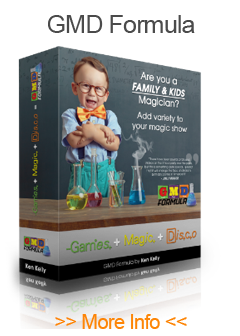 GMD Formula is a step by step course where children's & family entertainers discover how to add versatility, variety and new income to their packages. 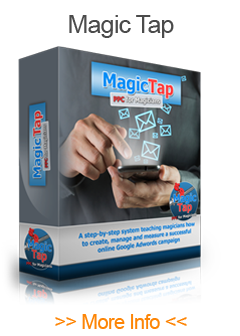 Magic TAP is a proven step-by-step system to create, manage and measure a successful Adwords campaign that leads to more bookings. 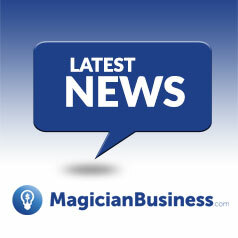 Visit the Magician Business Store to see our full range of products. 80% of what your booker remembers when they visit your website is visual. This means your images, graphics and the videos are your most effective tools to covert browsers into bookers. Colette Kelly is a professional photographer with a special skill. Colette has been photographing magic shows and magicians for over a decade and she has discovered the formula for catching the emotion of the show in an image. Colette shows us how certain images create an subconscious buying desire and how you can use them to get bookings. Without a doubt the topic of how to raise your fees as a professional magician is one of the most talked about and yet it is likely the least acted upon. Israel magician Zivi Kivi (Zivi Raviv) has doubled his performing fees within 5 years and here he shares what he calls his Champion Building System that turns bookers into brand evangelists by giving them the tools to sing your praises as a performer. Are You Squeezing The Most From Your Bookings? People only spend an hour a week doing marketing so they don’t get work so they lower their prices then it is a big chase to the bottom. They are spending lots of time doing the wrong stuff, year in/year out.